Which NBA teams are due for ATS regression at home? Eight teams are covering the spread in better than 60 percent of their home games entering Wednesday's action, and there haven't been as many as six teams to finish a season with that high of a rate in more than 10 years. Oddsmakers are adjusting, but not directly in point spreads. If you've done nothing but bet home teams in the NBA this season, you're not very far from the break-even point, as they are 413-393-11 against the spread going into the Wednesday slate (a .514 winning percentage, break even is .524). That number is normal, but a handful of teams are achieving home ATS success at well above-average rates. ## NBA home ATS records Eight teams -- the Kings (19-7-1), Mavericks (18-7), Nuggets (19-8), Celtics (18-10), Bucks (16-8-1), Trail Blazers (19-11), Spurs (18-11) and Wizards (16-10) -- are covering the spread in [more than 60 percent of their home games](https://www.teamrankings.com/nba/trends/ats_trends/?sc=is_home&range=yearly_2018_2019), and there haven't been as many as six teams to finish a season with that high of a rate in more than 10 years. Here are how many teams have done it each year since 2007-08: 2007-08: 6 2008-09: 4 2009-10: 4 2010-11: 1 2011-12: 3 2012-13: 3 2013-14: 0 2014-15: 3 2015-16: 2 2016-17: 2 2017-18: 3 So this season is certainly an outlier. __MORE:__ [76ers' title odds move after Tobias Harris trade](https://www.betchicago.com/76ers-odds-tobias-harris-trade) | [Can bettors trust Blazers after ATS run? ](https://www.betchicago.com/portland-trail-blazers-odds-bettors-trust-ats) Oddsmakers are adjusting, but not directly in point spreads. "It's more about the rating than home/away," said Westgate oddsmaker Ed Salmons, who further explained that "if the Nets have covered every game at home and the Warriors play at the Nets, it has no affect on the line -- it's built into their rating. But it's not like the Nets would be favored because they have done well at home." And that makes sense, because of the eight teams covering more than 60 percent of the time at home, five are in playoff position, but Washington (22-31) is one of the biggest disappointments in the league and Dallas (24-28) is playing for next year [after the Kristaps Porzingis trade](https://www.betchicago.com/kristaps-porzingis-trade-betting-market-mavericks). Home teams being good ATS this season is more about teams being a surprise -- either good or bad -- from preseason projections. Take the Kings (28-25), who were 25th (out of 30 teams) [in Sports Illustrated's preseason power rankings](https://www.si.com/nba/2018/10/01/nba-power-rankings-warriors-celtics-lakers-lebron-james-stephen-curry-kyrie-irving). Sacramento is a league best 19-7-1 going into Wednesday night's game against the visiting Rockets. The Kings have won eight straight ATS at home at the Golden 1 Center, but [they're still underdogs to the Rockets](https://www.betchicago.com/nba-betting-lines-odds-trends-spurs-warriors-spread-total-move-resting-stars) (31-22 SU). Sacramento, which is covering more than 73 percent of its home games, would be the highest rate of any team since the 2011-12 Spurs covered 74.4 percent of their gammes in San Antonio. That Spurs team finished 50-16 SU to earn the top seed in the West before [falling in the conference final to the Thunder](https://www.basketball-reference.com/teams/SAS/2012.html). 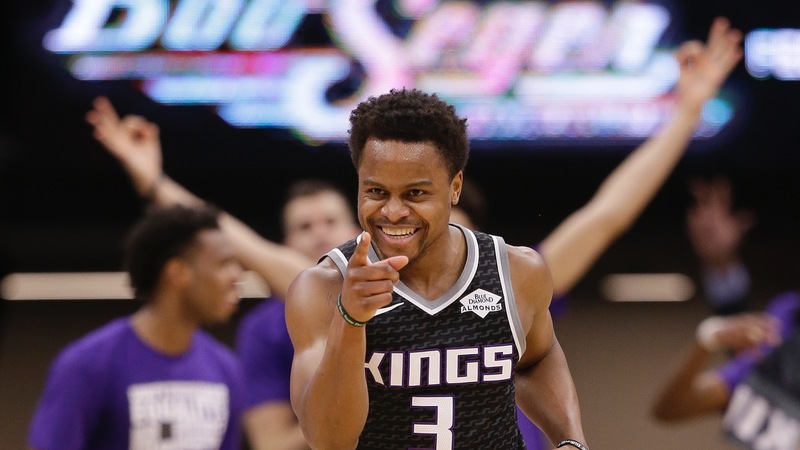 So should you start fading teams like the Kings? Well, if you believe teams will inevitably regress to the mean, then yes. But just keep in mind, the home team edge has already been baked into the spread, just as the increased scoring in the league has [been baked into the totals](https://www.betchicago.com/nba-scoring-increase-oddsmakers-keeping-pace). __PLAY:__ Our free [Daily NBA Pick 5 game](https://betchicago.chalkline.com/games/nba-pick-5). Pick five select NBA games ATS to win a BetChicago prize pack.